You’re a few clicks away from buying a supplement that will fill you with energy and improve your results. Metadrol will provide you with a rapid increase in muscle mass and boost your muscular strength as well as enhance endurance. Fill out the form and choose the package that will be the best for you. If you decide to buy “Recommended Package – Muscle Development Stack”, you’ll get 1 pack free and save 35%! It’s only 1.53€ per day! With a purchase of 1 or more packs of Metadrol, now you may add Ultra Slim System to your order. This new product will help you to shed extra kilos, without any side effects. 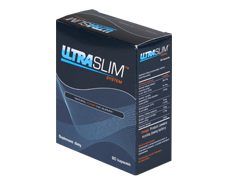 The standard price of Ultra Slim System not covered by this special offer is 33€. We are so certain that Metadrol works that we will return your money for each pack that hasn't been opened if only you aren't satisfied with the results it’s produced. Our product produces almost immediate results. The athletes that tried it noticed faster muscle regeneration. Gradual improvement in muscle growth can be observed within 2-3 weeks. Metadrol is a combination of nutrients and inhibitors of lactic acid, prepared in the laboratory by pharmacists and bioengineers. Each Metadrol ingredient was thoroughly tested. Our product is 100% safe, legal and effective. We respect your privacy - we neither share your personal information nor sell it. 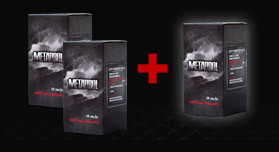 Metadrol is for active people in good health who want to increase their muscle mass. It can also be taken by women. However, people under the age of 18 or with medical conditions as well as pregnant women should always consult a doctor before using the supplement.